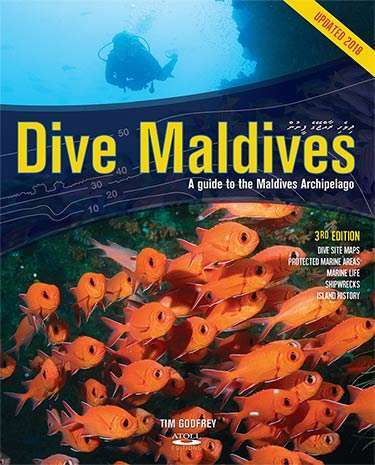 Dive Maldives – now in hardcover and fully updated with resort names and eight new atoll maps showing dive site locations. Dive Maldives: A Guide to the Maldives Archipelago is a detailed guide to diving the atolls of the Maldives Archipelago with information on over 350 dive sites based on the author’s personal research over 20 years. This book gives a comprehensive overview of island history, Indian Ocean maritime history and famous shipwrecks of the Maldives and includes a useful diver information section as well as an index of fish, invertebrates and dive sites. ‘Very interesting & informative book on atolls, dive sites & general information on the Maldives. Best I have seen for a long time’— Amazon customer. ‘A great description of many of the dive sites in the Maldives. I hope to live long enough to dive all of them!’— Goodreads.